This helmet not only provides comfort and style, but also safety. With the sturdy shell made of polycarbonate, it is no problem if the impact is somewhat more times. This material is very durable, impact resistant and durable. It makes a lot of security and stability is reduced, but the additional weight. In addition, a soft ear protection is fitted, which provides warmth on cold days, and comfort and can be removed in warmer weather conditions easily. On the surface of the helmet are some vents fitted to ensure a uniform temperature control, so it's not too hot nor too cold. This helmet is very simple optically held so that the flavor of each is achieved. A Groes Oxbow logo on the surface brings life into the design simply held. So that head protection is not all dark colors, the red cap was made. 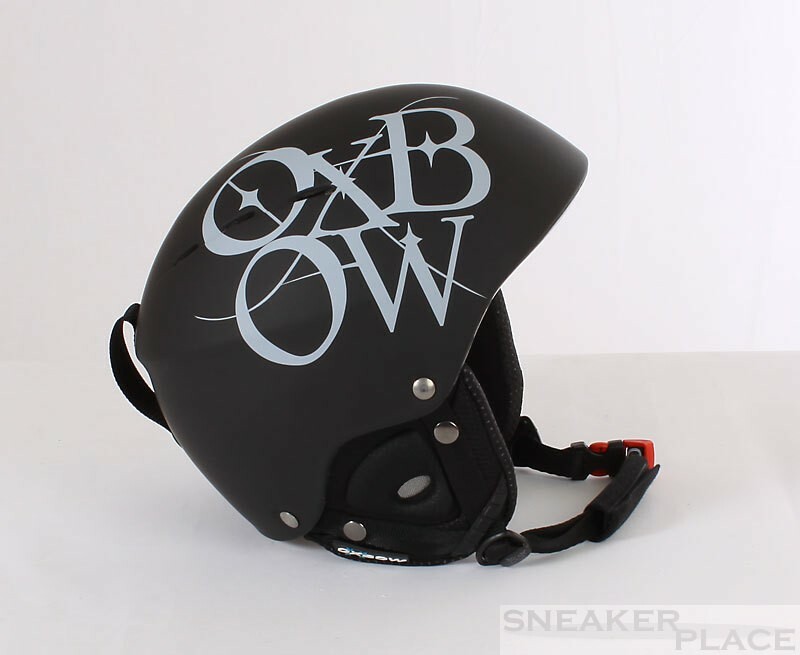 In addition, a small Oxbow logo on the bottom of the ear protection is appropriate. The surface is matte black. All in one designed Rwan the sporty, sleek and elegant. Glazing of conservatories and packaging used. Moreover, it is weather resistant and retardant. Polycarbonate is used where other plastics are too soft, brittle or scratched. When it starts to go outside to get cold, it can hardly expect a lot of skiing or snowboarding! The snow is here, and thus the cold. So you will not freeze even at the ears, are integrated in this helmet earmuffs. These are incredibly warm un afford much comfort. They are padded and provide warmth and comfort. But in warmer weather conditions it may be under the full protection equipment ever too warm. No problem! The ear flaps can be easily removed! When skiing or snowboarding for the entire protective clothing to come to even the constant movement. Because it can sometimes be quite a bit too warm. Especially under the helmet creates an uncomfortable time with the heat. But with this helmet, because he has ventilation holes which are responsible for uniform temperature control. Thus it is not too hot nor too cold. A great invention!